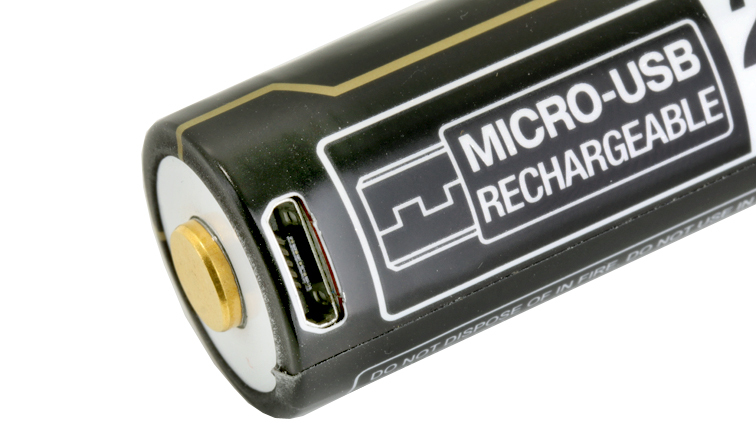 Built-in Micro-USB Charging Port: Tenergy T35B can be charged by its own USB port and by charger as well. 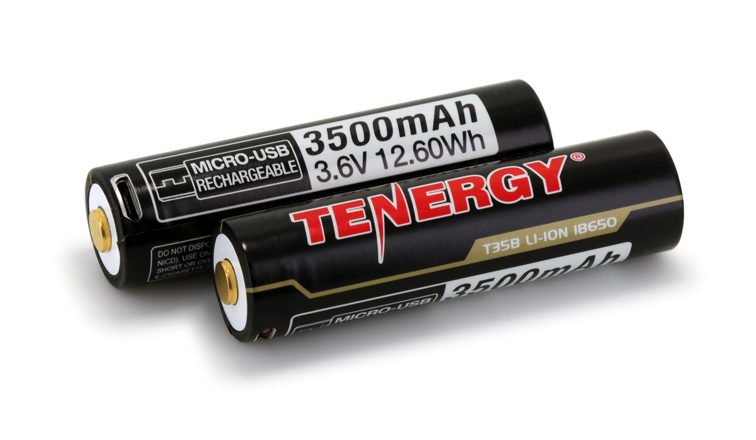 Ultra High Capacity: Tenergy 3500mAh is the highest capacity currently available for 18650 Li-ion batteries. 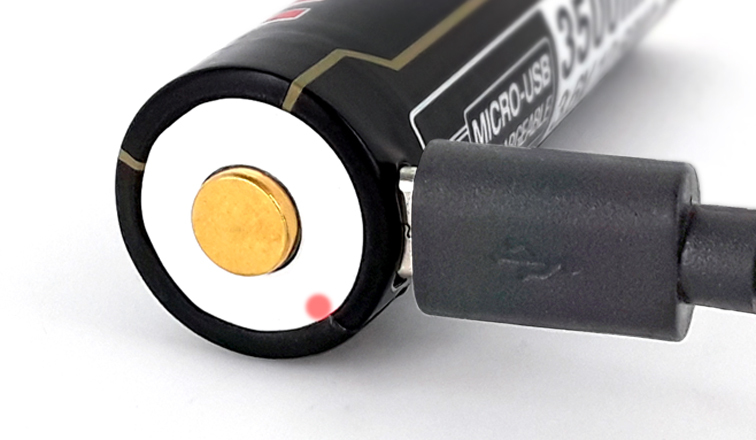 Compared to other standard 18650 batteries (2000-3000mAh), T35B can provide prolonged runtime in most applications. Gold Plated Terminals (Positive/Negative): Gold-plated terminals on T35B ensures the battery's optimal performance after repeated use by providing exceptional corrosion protection, significantly enhances its durability and conductivity. Reusability offers great savings: T35B can be recharged 500 to 1000 times which offers significant money savings over time.